From my room at Novotel Citygate Hong Kong, I had a really nice view of the Ngong Ping Cable Car. For the longest time, I had wanted to visit the Big Buddha known as the Tian Tan Buddha 天壇大佛 which is at the end of the cable car ride. 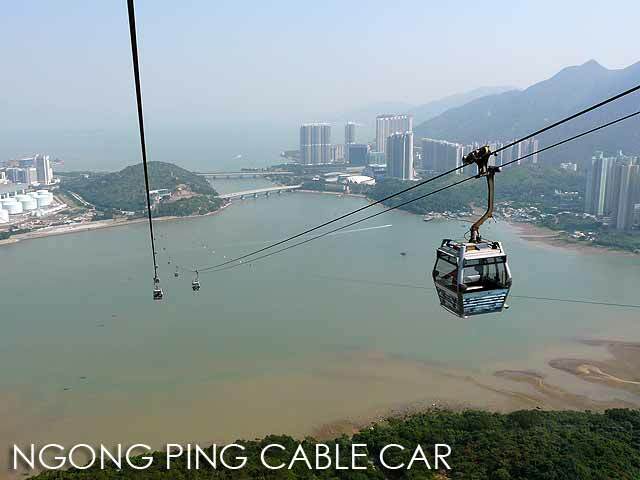 With the Ngong Ping Cable Car Platform just a ten-minute walk away, this was the perfect chance. 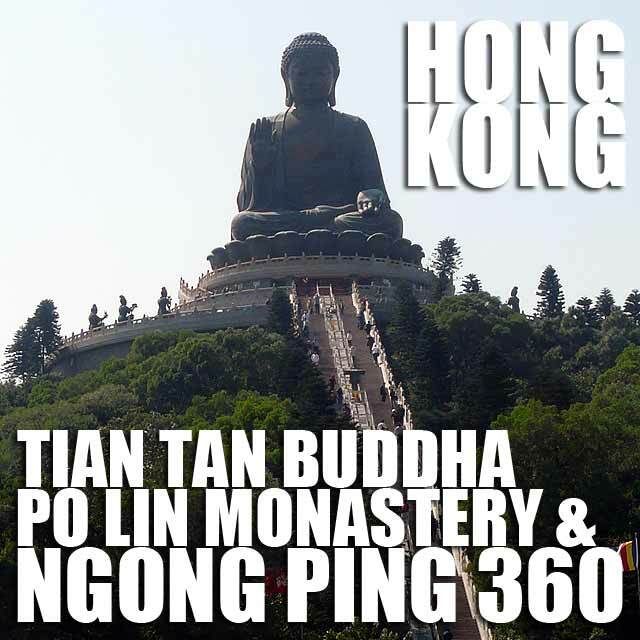 So for my free day in Hong Kong, I decided to visit Ngong Ping 360, the Tian Tan Buddha 天壇大佛 and Po Lin Monastery 寶蓮禪寺, plus the Tai O Fishing Village 大澳 which you can access by bus from Ngong Ping Village. There are two kinds of cable car cabins - the Standard Cabin (round trip ticket is HK$107 for adults) which is your usual cable car ride, and the Crystal Cabin (round trip ticket is HK$157) which has a glass floor. So better make sure you are not afraid of heights if you take the Crystal Cabin. You can also do the one way Standard Cabin and Crystal Cabin combination (HK$142). 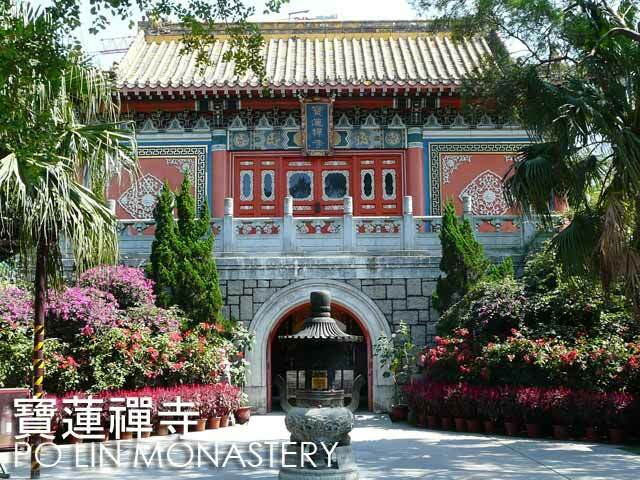 I was given the Journey of Enlightenment Package which included entrance to the presentations at Ngong Ping Village namely Walking with Buddha and Monkey's Tale Theatre (HK$219 for Crystal Cabin). Anyway, the views from the Ngong Ping Cable Car are amazingly stunning. Again, be sure you are not afraid of heights since this ride will give you the scare! 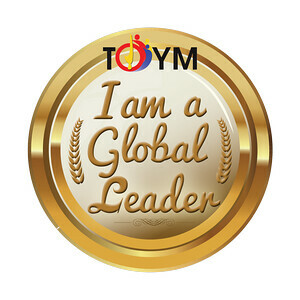 I enjoyed grand views of the Hong Kong International Airport, Tung Chung where Novotel Citygate is located, and the mountains of Lantau Island 大嶼山. Below you could see the hiking trail for those who like to reach the Big Buddha and Ngong Ping Village on foot. 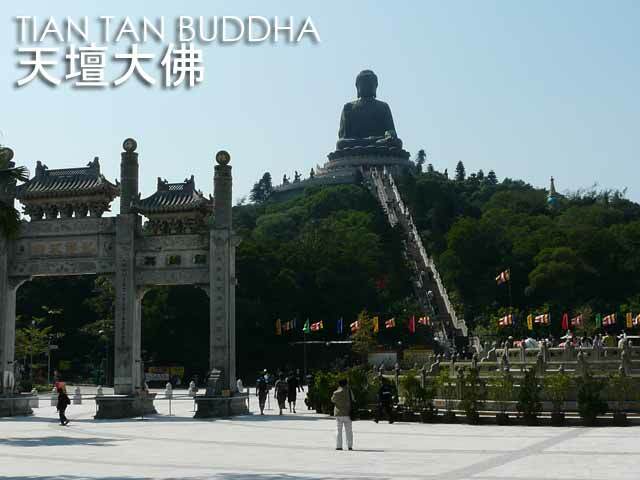 As soon as I got there, I proceeded to the Tian Tan Buddha. The bronze Buddha statue is 112-feet tall and weighs 250 metric tons. From 1993, the year it was completed, until 2007, it was the world's tallest outdoor bronze seated Buddha. To reach the top, visitors have to climb 268 steps. Access to the Buddha is free. But you will have to pay HK$20 to enter the Buddha. If you decide to avail of their vegetarian meals (HK$60 for general and HK$100 for de luxe), entrance to the Buddha is included. Beside the Big Buddha is the Po Lin Monastery which was founded in 1906. 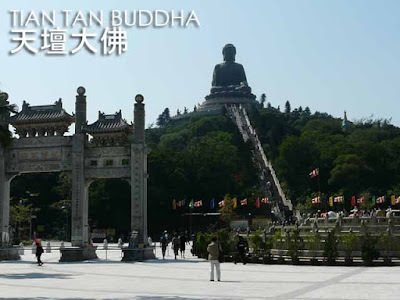 The Tian Tan Buddha is actually an extension of the monastery. I proceeded back to Ngong Ping Village to catch the bus to Tai O Fishing Village which I will talk about in another post. 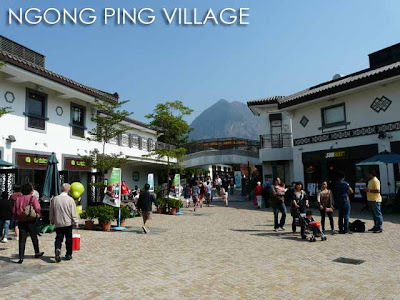 Ngong Ping Village has a lot of restaurants so you can have lunch there. But if you're after fresh seafood, then Tai O is the place for a meal. Take the MTR to Tung Chung. The platform is right beside the Tung Chung MTR Station. From Tung Chung, you could also take Bus No. 23 to get to Ngong Ping Village. Tip: Do not take the last cable car to the buddha as they wont let you get on coming back and you'll be stuck in a deserted tourist attraction with wild dogs rummaging through the garbage and freezing gusty wind blowing by. The nearest taxi will be 30mins to 1 hour away and it will take 1hour to get back to Lantau.... from experience!